Spread oatmeal out on a large cookie sheet. 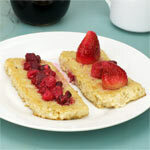 Toast under broiler (about 375 degrees) for about 10 minutes, stirring often until oatmeal is a golden tan color. Remove from oven and allow to cool completely. Whip the cream until it holds its shape. Stir in the honey and whiskey, followed by the toasted oatmeal. 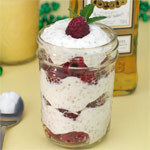 In a medium bowl, toss the raspberries and sugar until berries are well coated. 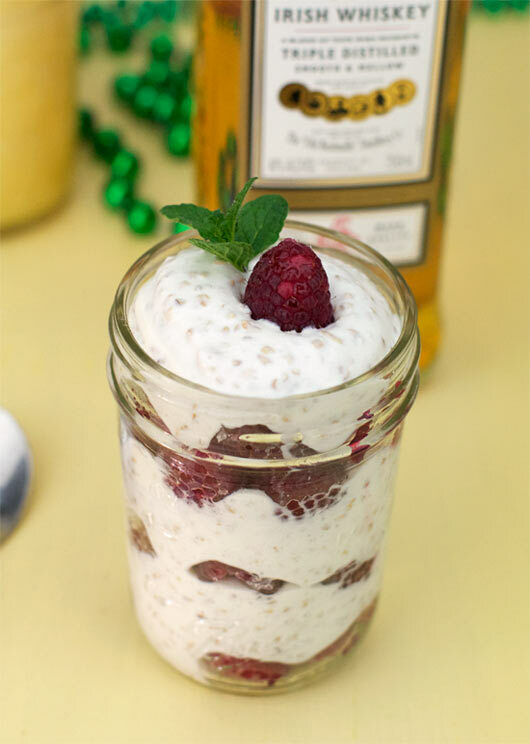 In a serving glass, layer the berries and cream alternately to create a beautiful parfait. I found 1/3 cup of sugar to be excessive for tossing the raspberries. I reduced that to just 2 Tablespoons. 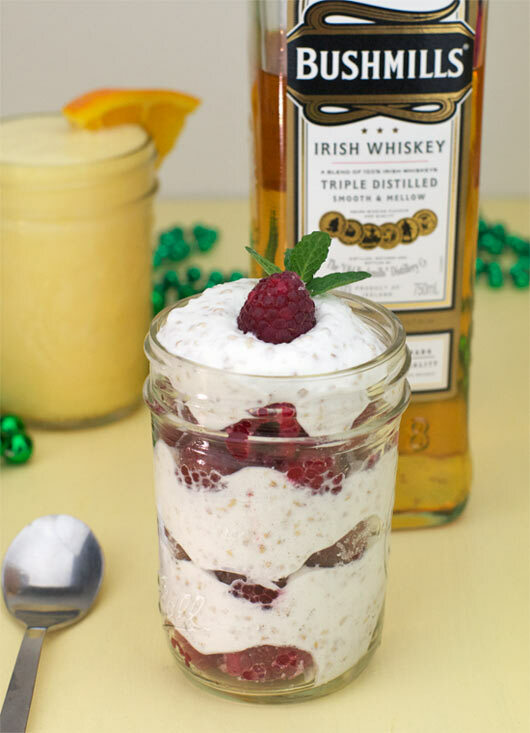 Use the Irish whiskey as if it is a weak flavor extract. I added 1 Tablespoon to the cream and gave it a taste after stirring. I only had to add a couple more teaspoons after that to get a nice flavor out of it. So, I ended up using half as much as the recipe asked for. Happy St. Patrick's Day Everyday! 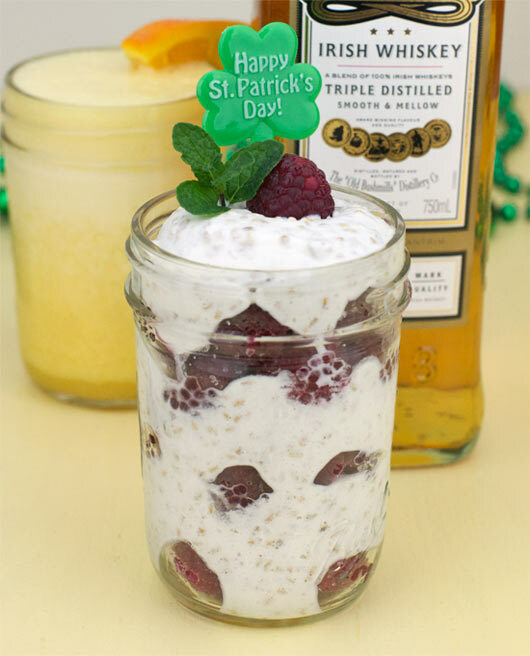 The secret to this traditional oatmeal parfait is, seriously, just a little bit of Irish whiskey. Mr Breakfast would like to thank leprican_katie for this recipe. 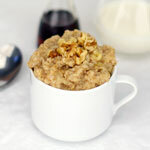 What do you think of Curach (Irish Honey Cream Oatmeal)? A little whiskey with my oatmeal. Count me in! For 'Wal'... It's pronounced very much like 'couric' as in 'Katie Couric'. I know Curach as a kind of boat, I hadn't heard of the oatmeal until today. It's pronounced sort of like "cola" but with an "R" replacing the "L". You can hear it pronounced here. How do you pronounce Curach? MyBrady - I saw you're comment and it made me hungry. I went through my absurdly unorganized drawer of recipes and found... Baked Apple Pie Oatmeal. If that link doesn't work, I added to the oatmeal page on this site. 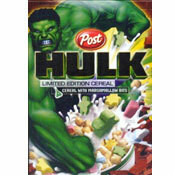 It's night here and I can't wait for breakfast tomorrow! Anyone have a recipe for baked apple oatmeal? 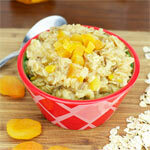 It has butter, milk and egg in it and, of course, oatmeal - got the recipe?